Article Overview: The Terrorists' Ball is a time of celebration for those who issue in the New Year with Fear, Intimidation and Complacency. But, there is another Ball of greater importance. 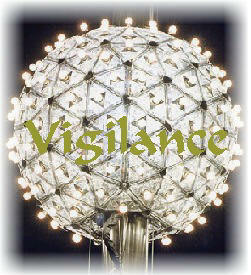 It is the Vigilance Ball. It offers us all a time to stand up to the Bully Beasts and drench their Triad of Terrorism with Courage, Conviction and Right Actions for future generations. 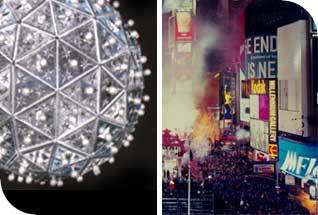 GROUND ZER0, New York, N.Y.--Dec. 29, 2003 -- As the clock strikes the final last minute of the final hour of 2003, the Terrorism Ball drops. Similar to the one in Times Square, New York City, it glistens and delights all the Terrorists who are counting down the end of one year and the beckoning of another. The time it takes the Terrorist Ball to drop equals the time it takes to pull the pin on a hand grenade and count to ten, or, to load a rocket launcher, aim and fire, or set a land mine in the road so that its pressure cap protrudes just enough to be engaged by a Humvee tire. Terrorism is gleeful about a new year. Despite all attempts to quash it, dig its grave and shovel in tons of dirt upon its ragged body, Terrorism renews its thirst each year to deliver upon the world new and more virulent forms of Fear, Intimidation and Complacency. The world is ill prepared to battle Terrorism. It is far too busy trying to pretend it can scare Terrorism out of existence by surrounding it with guns on one side and butter on the other. But Terrorism is not dirt. THE TIME BALL CIRCA 2003 A.D. It can't be swept away, except under the rug. The Terrorism Ball will be a gala event for those few, fractionalized, insanely mad members who believe that the general population is a herd of sheep, easily frightened into caves of Complacency when the bombs, bullets and bloodshed rain upon their heads. 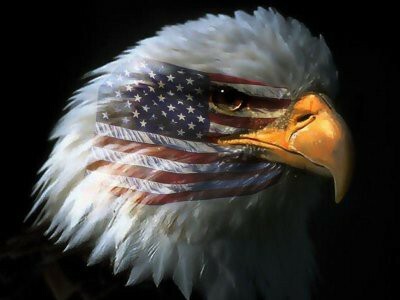 What the Terrorists forget, however, is that a new force is surging upon the shores of the world society. This tidal wave is composed of the Families of Vigilance--mothers, fathers, brothers, sisters, cousins, uncles, aunts, grandparents--who subscribe to the Pledge of Vigilance and who refuse to let their Courage be undermined by Fear, or their Conviction to be chewed to death by the termites of Intimidation, or their concern for taking the Right Actions that protect the Children's Children's Children to be stopped by a wall of Complacency. 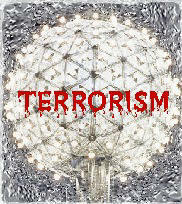 The Terrorists--the bullies of the world who seek to threaten everyone in their path--forget there is a Vigilance Ball. The Vigilance Ball is a ceremony held by those who oppose the threats to their children, grandchildren and loved ones. It occurs not once a year, when the final minute of the final hour of the past year expires, but each morning and each evening. These are the two most important times in the lives of the Families of Vigilance, for it is upon the dawn and dusk of the day that they reread the Pledge of Vigilance. 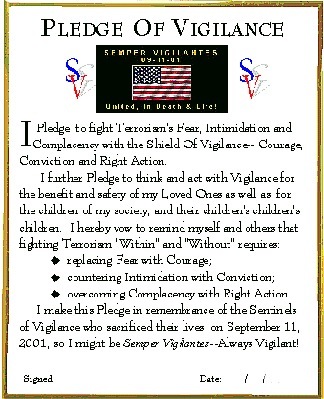 The Pledge of Vigilance, like grace said before a meal, is a reminder to Family of Vigilance members that battling Terrorism begins with how one thinks and acts throughout a day. It is about mustering at least One Percent more Courage to overcome all forms of Fear, about the One Percent more Conviction needed to withstand all the torments of Intimidation, and the One Percent more purposefulness of the individual to chose the Right Actions that benefit future generations than to succumb to the feeling of selfishness that drives one under the blankets and creates walls of denial that one individual cannot make a difference in this world. The Pledge of Vigilance takes many forms. Not everyone signs the one listed below, or uses the exact words I have scribed. 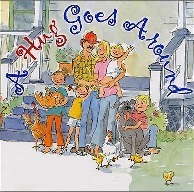 Some simply vow with a hug to their children to keep them safe and happy, to protect them from all forms of harm. Love, after all, is about sacrifice. Hate is about selfishness, self-centered egotism that stops at the end of one's nose. Terrorists are those people who cannot see beyond their own needs. They want the world to revolve around their axis, and justify their actions as serving a higher order--one that they have proscribed, altered, bastardized to fit their particular needs, to sate their thirsts. Some parents, for example, feel the abuse of their children is a privilege, a right they are given upon the child's birth. They consider children chattel and distance themselves from them emotionally, creating great rifts between parent and child that often cannot be bridged. The end result is statements such as: "We are from different worlds," or, more mundanely, "I don't understand you! Why would you do such a thing?" The alienation of parent and child is a symbol of Terrorism's glee over winning yet another battle. It insures that Terrorism will survive no matter how many wars are waged against it, for its roots are not found in the battlefields of Iraq, but rather at the doorsteps of each village home whether it be a mud hut or an expansion mansion in Beverley Hills. When the smoke clears from the War on Terrorism we watch on television and read about in the newspapers, its embers will burn in the icy hearts of those who are breeding Terrorism within their own children. 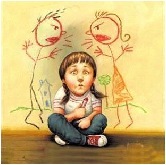 Parents who promote bigotry, prejudice, hatred, selfishness seed the furrows of future Terrorism. In Iraq, more than 40 percent of the population is under the age of 15. It is startling to think that a generation of youth have grown up under the rule of a tyrant will change overnight into gleaming eagles of democracy. It takes time and effort to change one's viewpoints. Parenting is a full-time job. It will be easy to think when the New Year's Ball drops in Times Square that we will be heading into a year free from Terrorism. We would all wish that for not only our sake, but our children's as well. But, it would be better to see the ball dropping from Times Square as the Ball of Vigilance rather than just a crystal orb glittering false hopes to those eager to deny the presence of the Beast of Terror, or his continued intrusion into their lives. It might be well if we saw the Ball of Vigilance dropping as a reminder that we must all assume a stronger role as Sentinels of Vigilance in the coming year, and that our greatest New Year's resolution would be to subscribe to the Pledge of Vigilance morning, noon and night. Only when we confront Terrorism, only when we individually go belly-to-belly with the Beast of Terror within ourselves, will we be victorious over the Beast outside us. That isn't an easy task. It means we must constantly be on guard against our Fear, Intimidation and Complacency, and, we must counter it not only within our own lives with Courage, Conviction and Right Actions for future generations, but, we must also provide tutelage to the children about the Beast of Terror. We must not be fearful of making children aware that the Beast thrives on the child's Fear, Intimidation and Complacency, just as he does on our own. We must not be hesitant to discuss these issues in our daily lives and to find ways to surmount them as a family. When we are courageous enough to admit to our own Beast of Terror, the Terrorists stop dancing. They no longer have a forum of Fear, for we have cut the legs from under the stool that holds Terrorists aloft. Our New Years can be free of Terrorism Within if we decide to banish from our lives the denial that the Beast of Terror doesn't exist within. This denial gives the Beast power, for it allows him to move about unnoticed, unaccounted for. 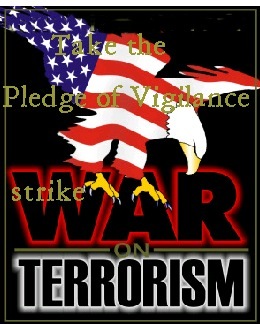 Vigilance reminds us all that the War on Terrorism is never over. It is an ongoing battle, as it has been since the dawn of time and will be until the last minute ekes out the last drop of human existence. Vigilance is about knowing ourselves, our limitations, and how to overcome them through actions that protect all children. When we are Vigilant, the Terrorist Ball is a dreary event. The Terrorists wail and whine and slink back into their caves, for they know that all the Fear, all the Intimidation, and all the Complacency they have at their disposal will not defeat a Family of Vigilant members who subscribe to the Vow of Vigilance. Hopefully, this 2004, will mark the beginning of a new Era of Vigilance. Hopefully, it will move us all another step closer to ending the Terrorists' Ball.